Don't be afraid to crack your case! Our silicone soft case will keep your device protected. The hardest part of the designing process is finding the perfect photo! Before you start on your personalised case, choose a base colour of black or white. The personalised S4 soft case. 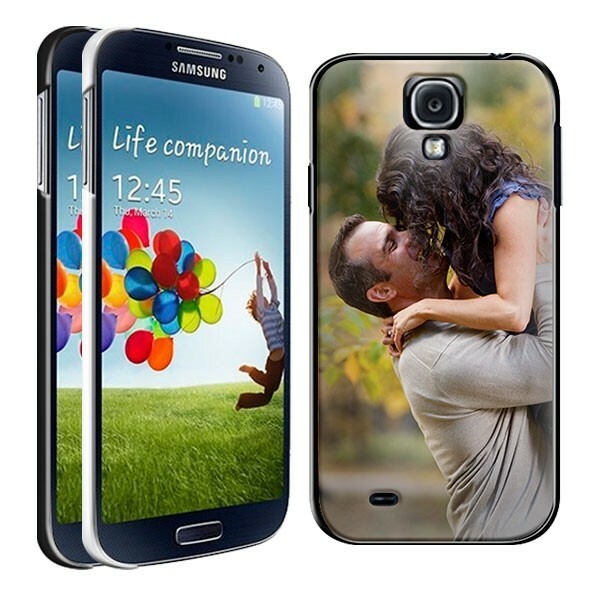 The personalised soft case from GoCustomized protects your smart phone with its soft rubber sides and back. The material is flexible and shock proof which ensures that your Samsung Galaxy is well protected. The combination of soft material and printing method gives your printed design a high level of scratch resistance. To get started, select a base colour for your soft case. 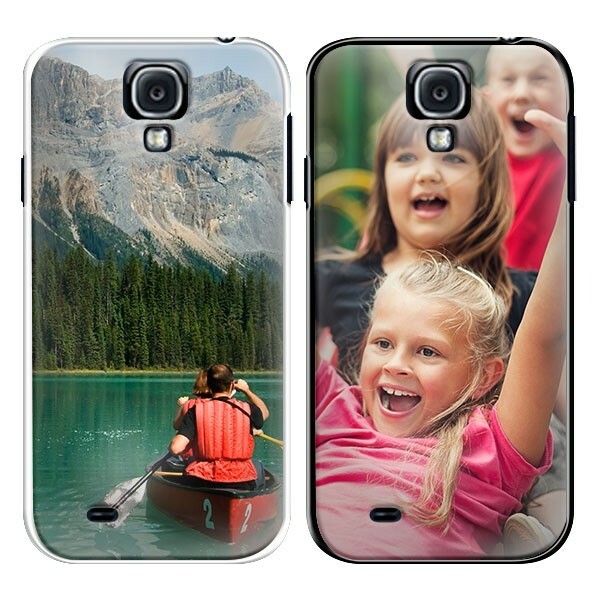 For the Samsung Galaxy S4 soft case you have the choice between black and white. Use any photo, pattern or pre-made design imaginable for your personal design! How do I design my soft case? Using our design module, you will have your design finished in a matter of minutes. Select a base colour for your softcase: black or white. Once a base colour has been selected, upload a photo from your PC, tablet or smartphone. If you want to use photos from your social media, just upload them using our built in Facebook and Instagram photo uploader. Add a little text to give it a nice finishing touch! Here at GoCustomized we have found the perfect combination of material and printing methods. We ensure that your design looks vibrant and sharp without giving up any structrual strength of the case. All our cases are made one by one to ensure that each case is made perfectly. We ensure that your case is on its way to you within 24 hours of purchase. You dont need to stay home to receive your package, it fits right through the mail box!